This time I invited Nathan Cearley. 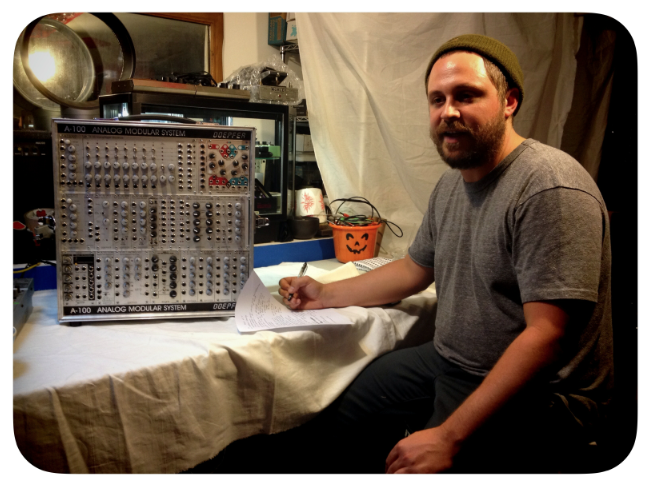 He is a Leader/Modular Synth player in a project called "Long Distance Poison". He is also busy organizing many of Modular Synth Events in NYC area. I have experienced two of Modular Synth Events organized by him in last 3 months that should be experienced by more audience, not only Modular fans but all around Electronic music lovers. 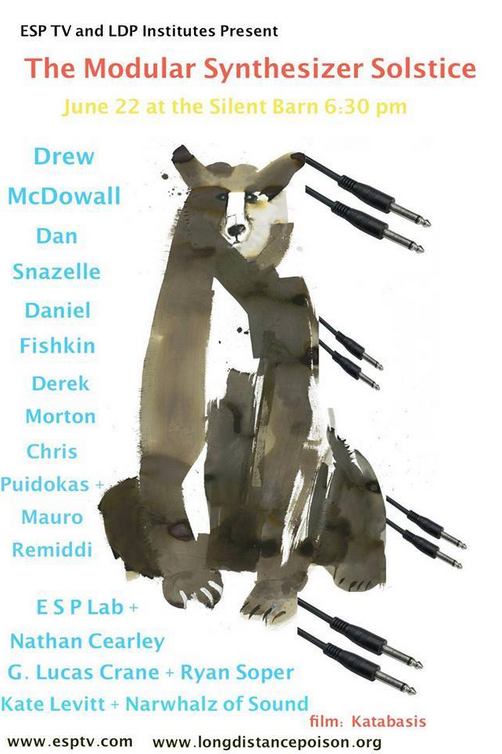 If you are modular synth fan, you will enjoy for sure but Nathan's imagination for putting an event together is much more than just Modular Synthesizer... His understanding & appreciation to Video Artist/Modular Synth Player/Other Experimental Musicians/and Much More, are very obvious when you enter any of his events. 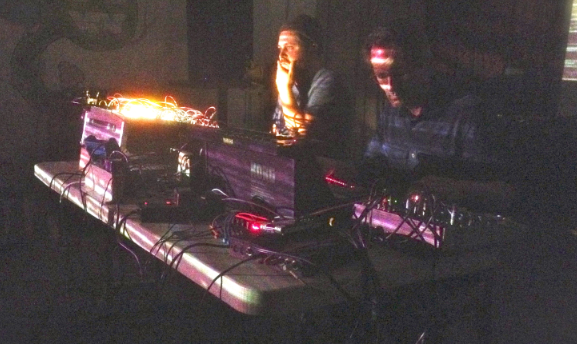 There will be another Modular Solstice event organized by him at the Silent Barn in December. So stay tuned and be ready for more Live Modular Synth Experience!! 1.What does Modular mean to you? 2.What is your first Synth ever? My first Synth was a Mini Moog. My boss sold me when I was 16. 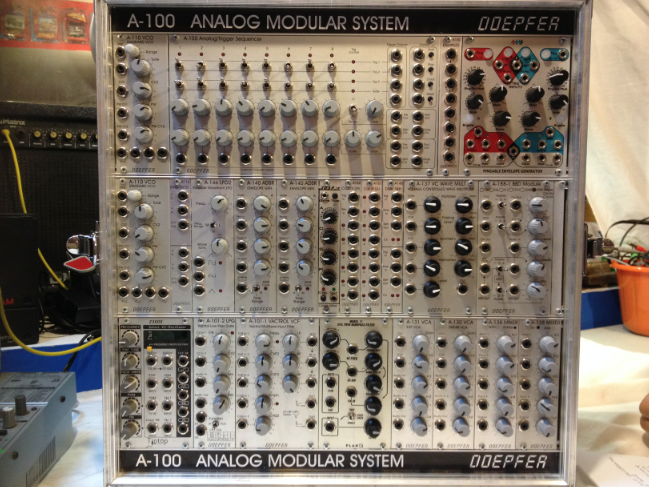 My first experience with Modular was with a Buchla System at Evergreen State College in the mid 90's. 3.What is favorite modular you ever owned/used the most? It gives me a chance to stop talking and to begin thinking in a different way. Ironically, making music gives me the chance to listen. 5.If you would design a module, what would it be like? What would you name that? I would like a voltege controlled tape deck module. I love cassettes. I would love to come to Japan to put on some modular events! I just finished organizing and putting on the Modular Equinox at the Silent Barn- The next one will be the Modular Solstice in December!